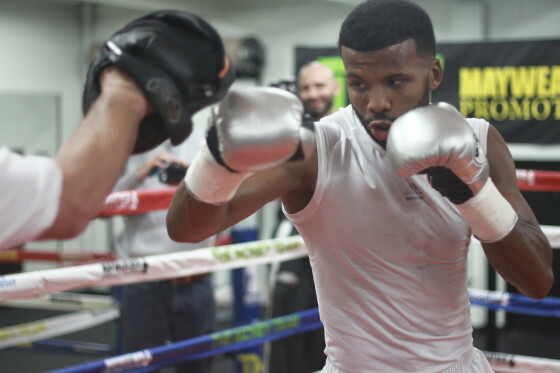 Badou Jack is officially a week away from the most important fight of his career. On Jan. 14, Jack will face off with London’s James DeGale (23-1, 14 KO’s) in one of the biggest and most significant fights that will take place this year. The matchup is set to air on Showtime, from the Barclays Center in Brooklyn, New York. Earlier this week, the Swedish-born star hosted a media day workout for the press ahead of his showdown with DeGale. Our colleague 1Tarrell was on the scene and captured some great images. It’s hard for me to remember Jack looking as focused and explosive a week before any of his fights. Check out the clip below for a closer look at Jack in training.